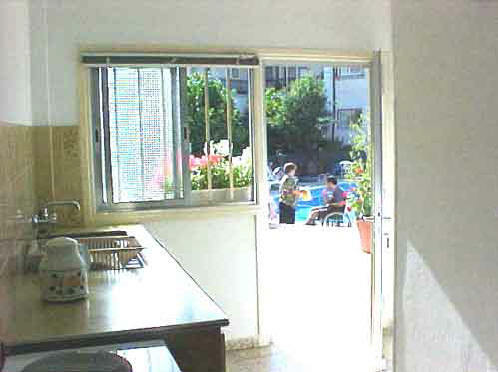 Studios, one & two bed apartments with disabled facilities and swimming pool hoist is available for your holiday in Cyprus. Special needs equipment installed. 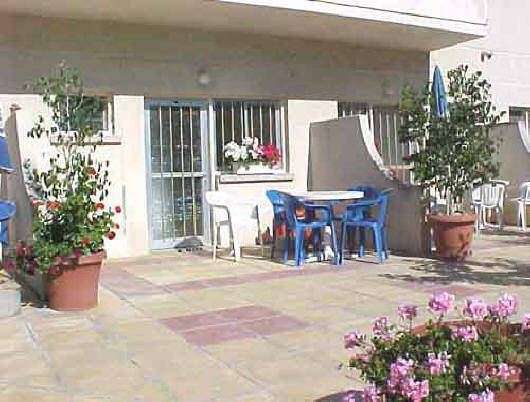 These studios, one-bedroom apartments, two bedroom apartments and three bedroom apartments are completely wheelchair friendly and are situated in the quaint seaside village of Polis Chrysochous, bordering the Akamas forest, near the famous Baths of Aphrodite and only a 40 minute drive from Paphos International Airport. 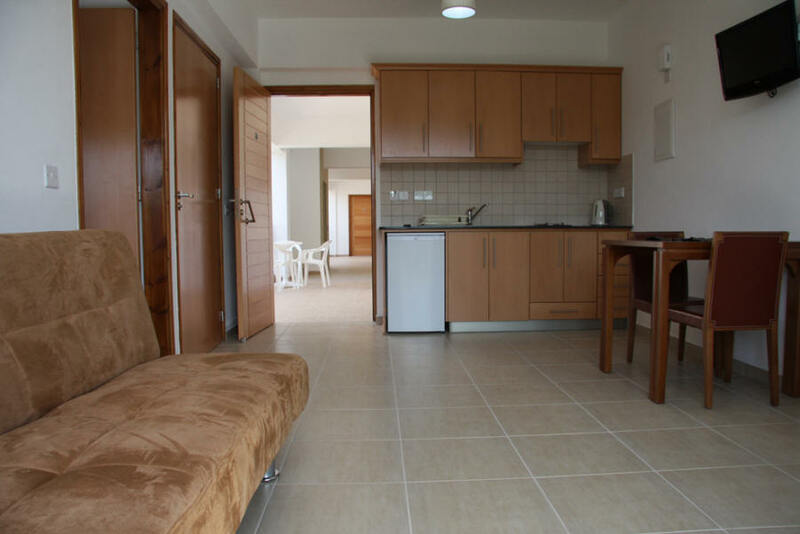 The complex was extended to include 1, 2 and 3 bedroom Apartments with disabled facilities, so can be combined to accommodate large parties needing wheelchair friendly disabled adapted holiday accommodation in Cyprus. 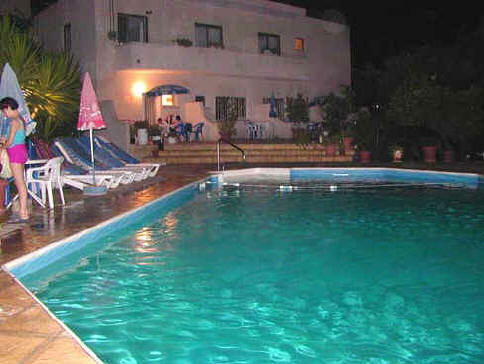 They are situated around a common swimming pool which has a pool hoist and is heated in the winter. The accessibility to both town and beach is excellent with wheelchair ramps now provided where needed. 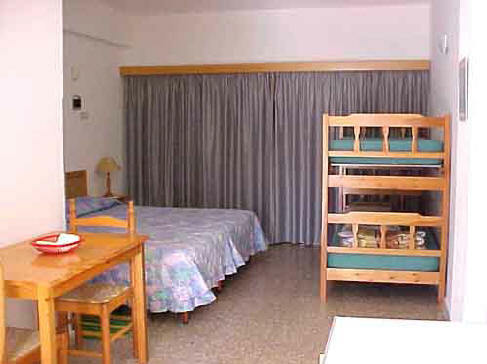 1 x 3 bed - 6 There are studio apartments, one, two and three bed apartments, all with shower, toilet and kitchen and disabled facilities. All the rooms have their own roll-in showers, drop down rails on either side of the toilet and wall mounted shower seat. 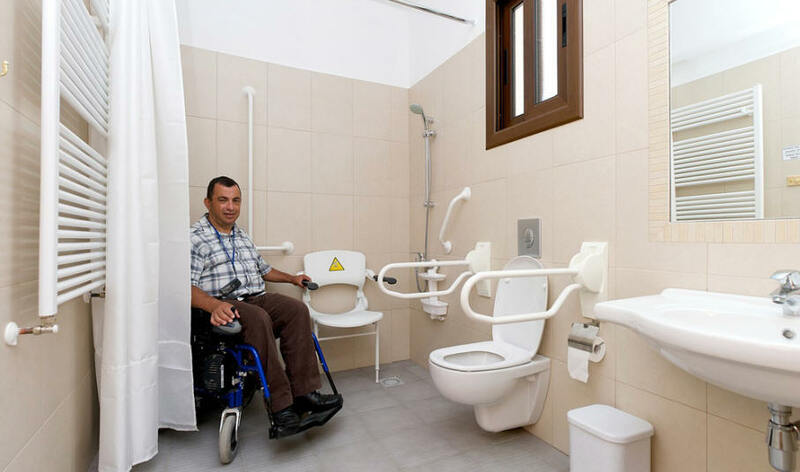 There are handles placed conveniently around the bathroom so that one can use the toilet with ease. The dining table has legroom so that you can sit comfortably when eating. There is also a roll in roll in shower. There is access to all areas of the apartment. There are ramps to the pool area and to the road etc. As far as the pool is concerned, a pool hoist is available so if you feel like cooling off, the hoist lowers you into the pool and lifts you out later. There are rails around the swimming pool and also raised sun beds. 2 mins to the Village Square. These routes are wheelchair friendly. EUR 6 per day per unit. Supplement of €10.00 for third person per day for sofa bed which is in lounge area for the one and two bedroom apartments. Adapted mini bus (fits 2 occupied wheel chairs and 4 other pax) available. A beach ramp, which has been long campaigned for, is up and running. 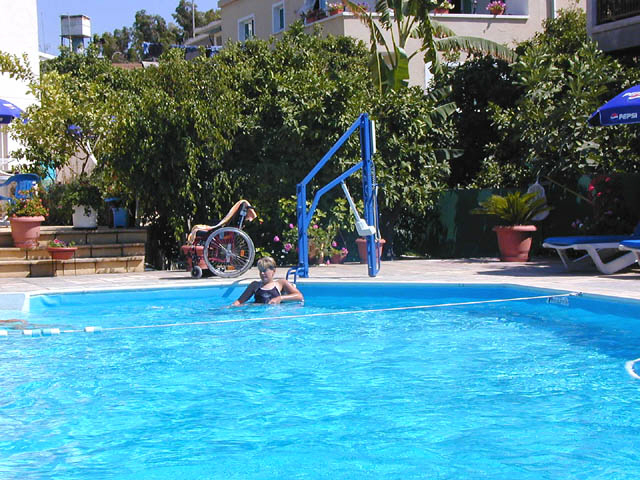 There is a whole host of disabled equipment that can be hired for your special needs whilst on holiday and there are also tours and activities which can be enjoyed including diving and excursions. 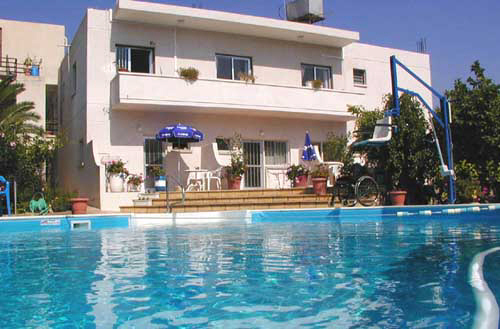 Cruise to Israel, Egypt or both on a 2 or 3 day cruise with CruiseCyprus.